The Federal Reserve Bank claims to have a “dual mandate.” It has failed at both of them. The reason is those are the mandates it publishes. They are not its real mandate. One published mandate is to preserve the purchasing power of the dollar. It has lost about 98% of its value since the FED was created. So much for that one. The other is to maintain stable employment. Recall the Great Depression and lesser recessions. While the FED has not put 98% of the people out of work, it fails at number two as well. The real reason that the FED exists is to re-liquify insolvent banks. 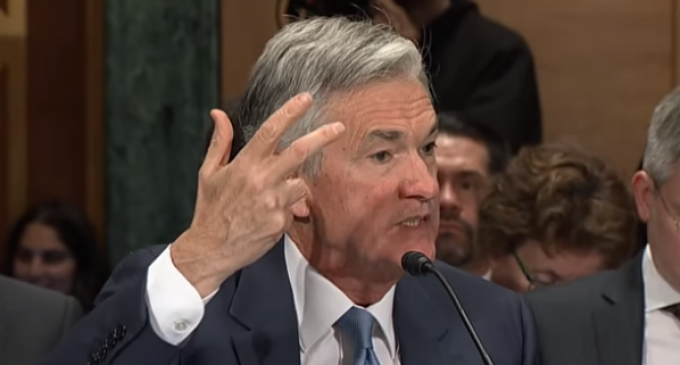 Banks, especially the money-center banks, know they will be bailed out by the FED’s money creation power if they get into trouble. Hence, they can take leveraged positions in whatever markets they choose in degrees way beyond anything even approach approaching prudent. The other reason the FED exists is to manipulate the financial markets for political purposes. This it does largely through its trading desk at the New York branch of the FED. Though it intervenes in almost every market, that does not mean it always gets it right. Nor does it make the FED omnipotent. It is those last two activities that will contribute to bringing about the next major financial crisis — possibly one that will be the worst in any of our lifetimes. Page two gives you the details of what will wipe out at least tens of millions of Americans. Screw the fed! Let’s go back to a gold backed economy instead of unbacked and overdrawn and over produced paper notes called wealth, better known as the dollar! They got rid of all the gold years ago! We had the gold standard, then the petrodollar – interest rates could slowly erode the effects of “quantitive easing”, and return us, most likely, to the petrodollar.